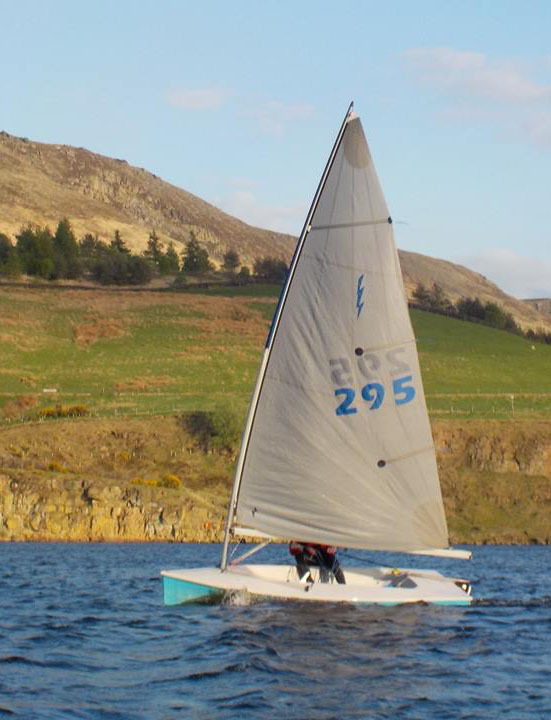 The Lightning is a small and light weight single hander, which is competitive and fun to sail. It has a good weight range and can be competitively sailed by helms from 50 to 90 Kgs. We have a wide age range sailing the boat and a good number of lady helms taking part in our Open Series events. The controls are well laid out along the gunwales with a centre main and a proper halyard for the sail, meaning it can be lowered whilst afloat. It has a centreboard rather than a dagger, meaning it is easier to launch and recover and is not in the way in a small boat.